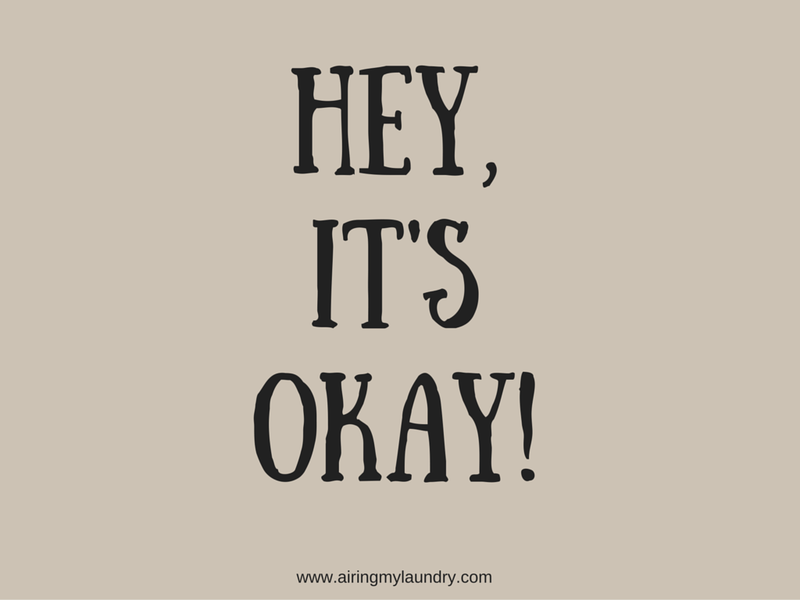 Wandering and Wondering: It's Okay Tuesday! Amber at Airing My Laundry discovered this idea in Glamour magazine. I don't post every Tuesday. 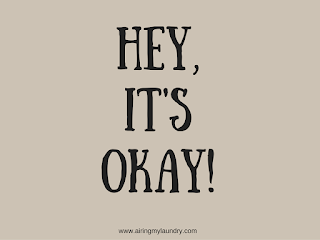 Not because things are not okay but sometimes things are so okay that there is no time to post! Other times, things are not okay. This past two weeks have been a bit of both, but that's life, isn't it? It's Okay that almost every waking moment is full and demanding. We are trying to make plans for the care of our parents. That's okay because we love them and want them to have quality in their lives and a certain degree of independence. It's Okay that we are planning the Great Coffee Table Conspiracy of 2017. The folks coffee table is dangerous. It doesn't bite or anything like that, it's just a falling hazard. Mom agreed to having it go but she doesn't like change (that's okay, too) but this time we are going to 'act', not just "think about it!" It's Okay that I am spending the money and time I would typically pay for therapy to transform the backyard. 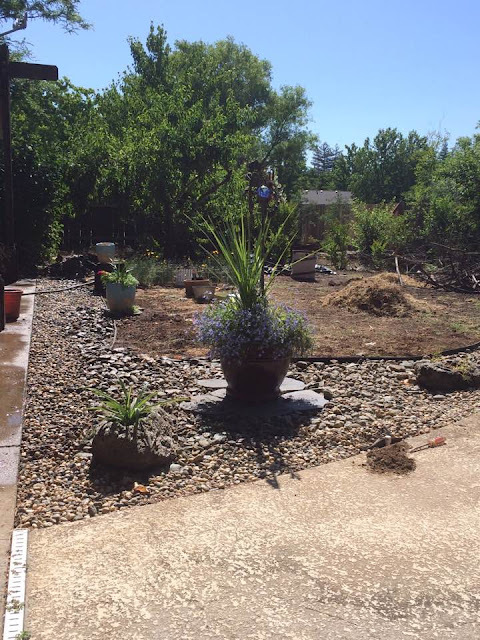 It's Okay that I have stripped the backyard of lawn, moved thousands of rocks, placed weed cloth down and moved thousands of rocks (plus some) onto weed cloth. Dirt on pool deck is from capping off sprinkler head. Yay! 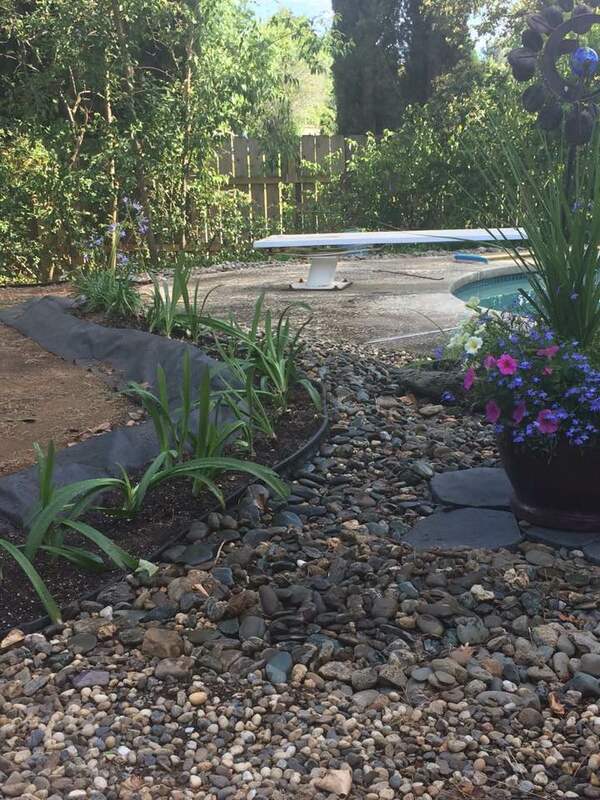 It's okay that I dug a ditch, lined it with weed cloth, filled it with good soil (bye-bye crabgrass) and planted Agapanthas to line the rocks. 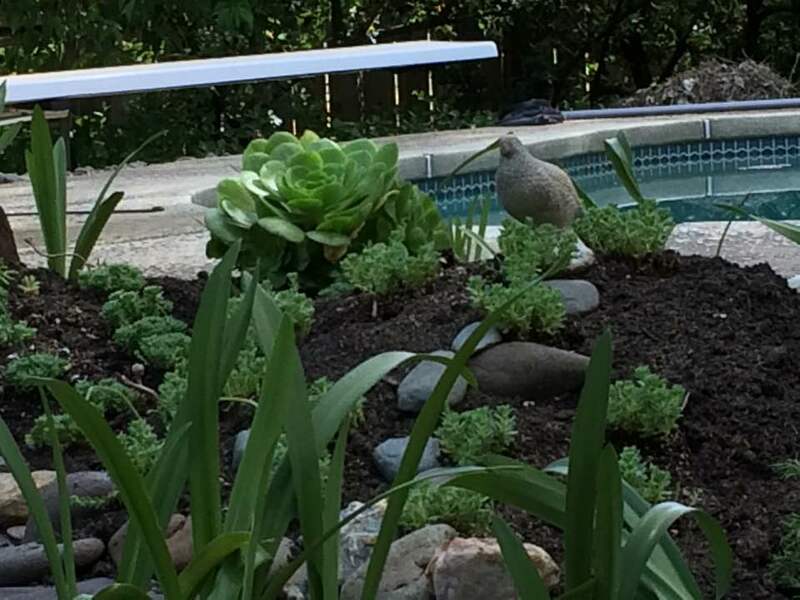 It's Okay that I built a hill in the curve and filled it with succulents. It's Okay that the work is going slow. It is not okay to work in the yard when the temperature is 95 plus. It's Okay that I drove a friend up to an Ashland hospital last week for a total knee replacement. Once we were there, IV in arm, all prepped, the surgery was cancelled! 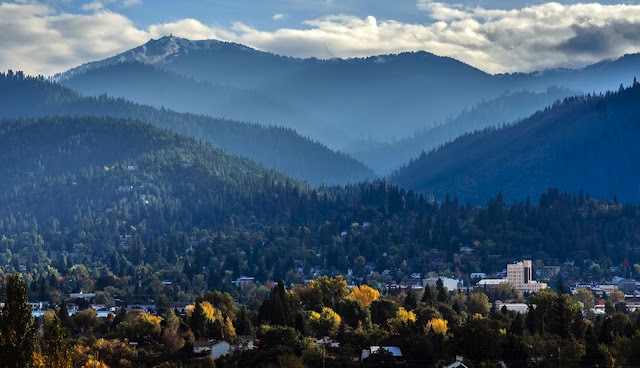 We ended up having a wonderful day wandering through beautiful Ashland, enjoyed a great lunch. It's Okay that the drive, both back and forth, through the mountains was beautiful and the conversation stimulating (and filled with good humor). It's Okay, no matter what, that I have good friends, who are there for me and make some tough times easier to march through and don't mind when things are not okay. Your yard is going to be spectacular when it's done! Wow, but your part of the world is beautiful! I hope all goes well regarding your parents. It is truly a beautiful country 'in these here parts'! Mountains, Rivers and fresh air! it's ok that I am so damn stressed out because spouse lives another day (spouse had a pacemaker implanted last thursday). Stressful, indeed. I hope all continues to get better with spouse. Must be scary for both of you. Thank you! 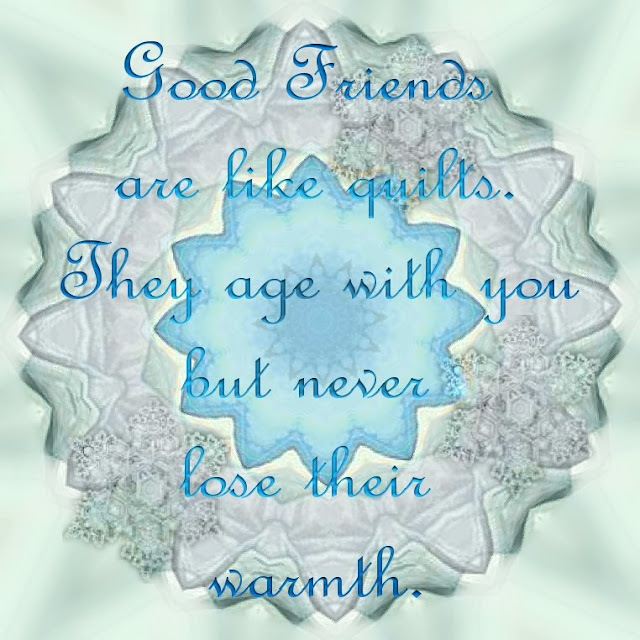 I love my friends and I love to make my garden grow. Transforming the backyard is a type of therapy! And yours is going to be amazing. I love that mountain shot. HOLYMOLY...it's spectacular! The best therapy for me is always working in the dirt. Mt. 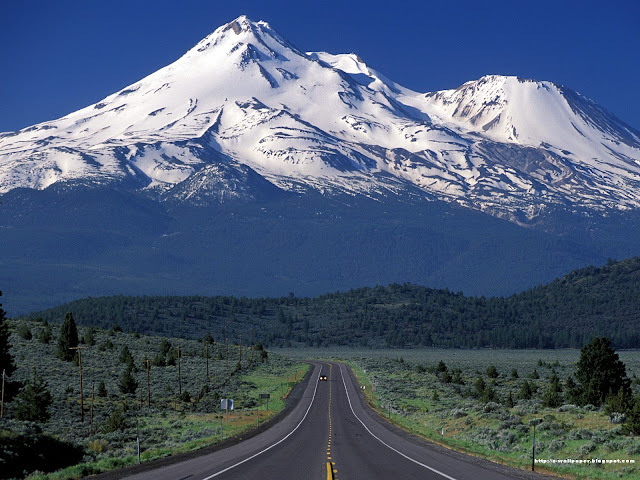 Shasta is a spectacular mountain.